Started and going well in harness and will start western pleasure and move on to cutting and possible reining. 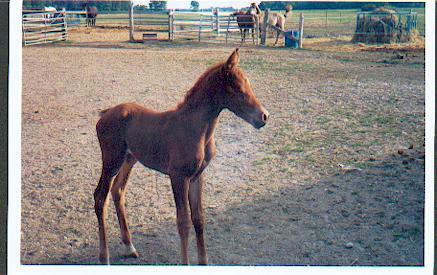 "Willie" has produced a wonder ful paint/arab filly with the most beatiful features and has passed on his lovely temperment. "Willie" is not Homozygous. so there is no garentee On color, he pasturebreeds and also hand breeds. Mare care- $6.00/day with the same treatment and daily rutene that we give our horses. same as stated on "Dale"
He is now working in being trained in harness and his first foals will be on the ground about February! 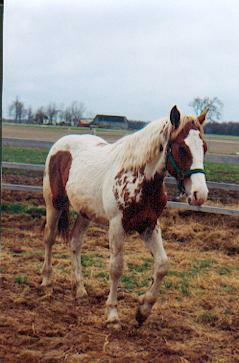 "Dale"-15.2 hh sorrel and whit coming 3 years old. Paturebred two mares and is quiet enough to turn out with geldings and other mares and he does not bother acting up or over reacting, his first foals will be dropped in September and we are hoping for COLOR!!! Shipping can be arranged negotiable. 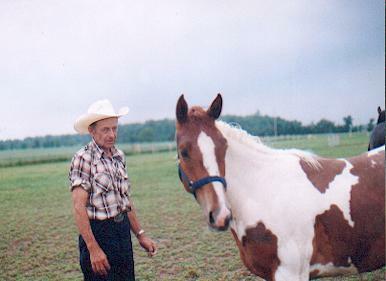 Mare care- $6.00/day with the same care we give our own horses will have own turn out and fed to your specifications. Large roundbales in group paddocks and small hay in individual.